She was a delightful woman to deal with. I love wearing Toni’s creations. I just wanted to get in touch and send you some pictures so you could see where your beautiful pearl went. I bought it for my daughter, Catherine, so I’ve included a picture of her wearing it. Wishing you all good things. Oh you’re a gem! Thank you so much! Look forward to buying more of your beautiful things in the future. I love your work. My colleague, Kristine, recently bought the same ring on a visit to Hawaii. We all loved it! It looks great and I’m sure she will love it. I do love your jewelry! I just received the gold threader earrings and they are beautiful! Thank you so much for all the work you put into them. I love them! Happy Holidays to you and your family and we hope to visit Kauai again soon. Blessings. THANK YOU THANK YOU THANK YOU! I was “surfing” for other Hawaiian outlets and stumbled upon your very interesting story. I loved the personal touch to your site and the uniqueness of your product. I am sure my wife will agree on Christmas morning! 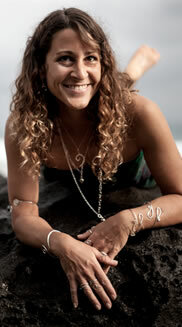 I purchased jewelry from you while vacationing in Kauai the beginning of June 2013. It was the hand-hammered-14-k-gold-filled-spirals-on-half-hoops. I also purchased the necklace and bracelet, which I love and receive many compliments. I bought some of your jewelry when I was staying at the Princeville Westin Villas. I took your card and was happy to see you sell items online. Thank you so much, Toni!! The necklace is for my niece and godchild, who is turning 21 on Oct 19th! I am sure she will just love it! I appreciate your beautiful work and wonderful skill. My husband and I were in Kauai in February and I saw someone wearing the silver hearts hoops and asked where they were. I love them!!! Thank you! Toni, I got my gorgeous bracelet today. I can’t wait to show it off! Hi Toni, I got your earrings today!! I feel so special the way you packaged them =). LOVE them so much. Thank you! Toni Sorry for the belated note, but life got a bit out of hand. I just wanted you to know how much i LOVE my new earrings — they are truly spectacular! I have been wearing them constantly =) Much Aloha!